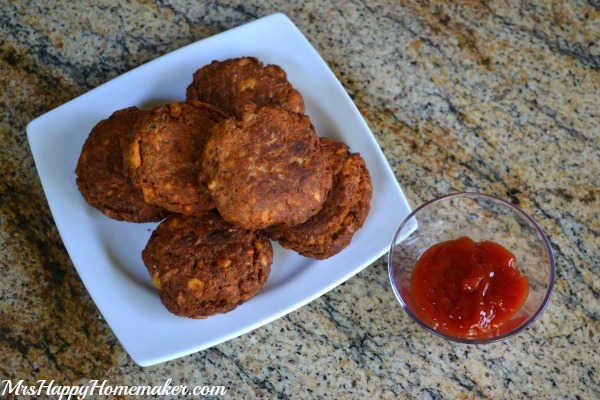 I love salmon patties. I always have. My MawMaw Light knew how much I loved them, and each time I’d go visit her as a girl – she’d always have a tinfoil pie plate sitting in her toaster oven waiting for me – filled to the brim with her homemade salmon patties, fried okra, & fried squash. The first thing I’d do when I got to her house was hug on her & my PawPaw Buddy, and then go straight to the kitchen to pull my waiting plate out to feast upon. In fact, I can’t remember a single time that I came to visit that I didn’t have a plate of her salmon patties, okra, & squash waiting for me. Oh, what a memory. A delicious memory at that! MawMaw doesn’t do as much cooking anymore, but I will always have fond memories of those little tinfoil pie plates filled with some of my favorite foods waiting just for me. 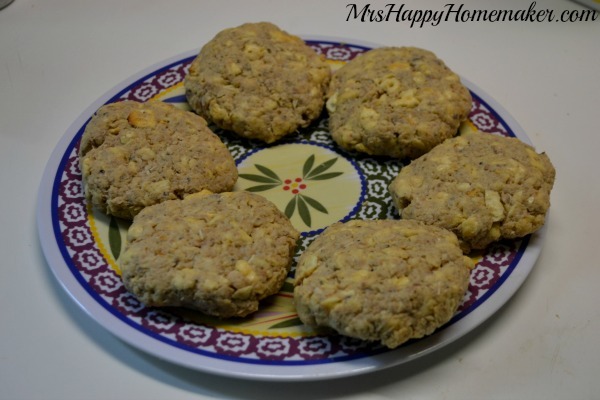 She gave me her recipe many years ago after I got married, and it’s the only way I make my salmon patties to this day. I always keep salmon stocked in my pantry for this purpose. 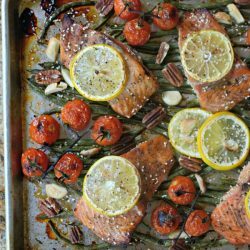 Having a can of salmon around makes getting a flavorful home-cooked meal on the table a breeze. Its homemade made easy! Take your can of salmon, and drain off the liquid in a colander. See? 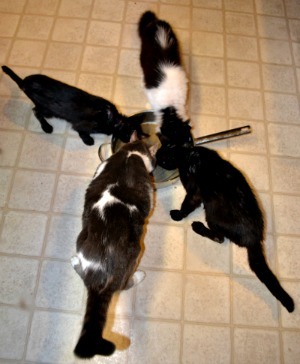 It’s like the cats of the 4 corners (north, south, east, west) all in one spot over here…. 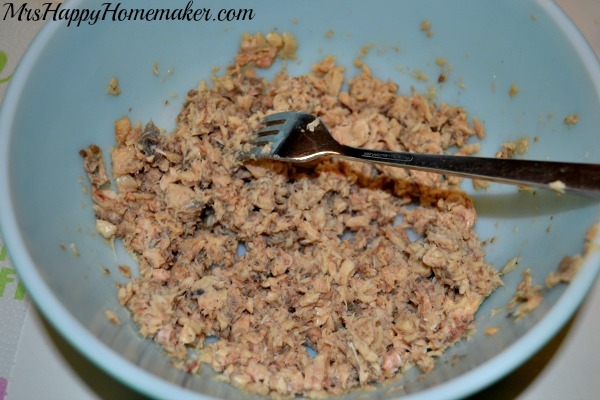 Place the salmon in a bowl, and flake with a fork. Sometimes you may find a few small circular bones, just remove those & proceed as normal. Squeeze the juice of one lemon on it, & give it a good dose of salt & pepper. Give it a good stir with your fork. Now, add the rest of the ingredients to the mix. Mix it all up, and shape into 6-8 patties. Put enough oil in a pan to cover the bottom of a skillet & about 1/4″ or so up in the pan. Heat til hot, and put your salmon patties in. Fry on one side until the edges of them start to turn brown, like so. Then flip & cook til brown on the other side. Drain on a paper towel lined plate. 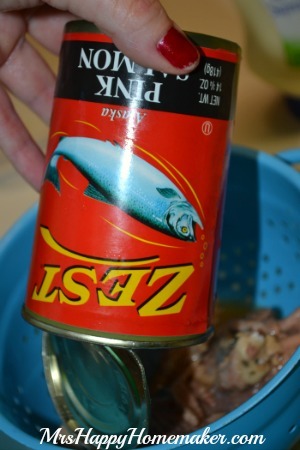 Using a fork, flake the can of drained salmon. Squeeze in the juice of 1 lemon & give it a good dose of salt & pepper. Stir. 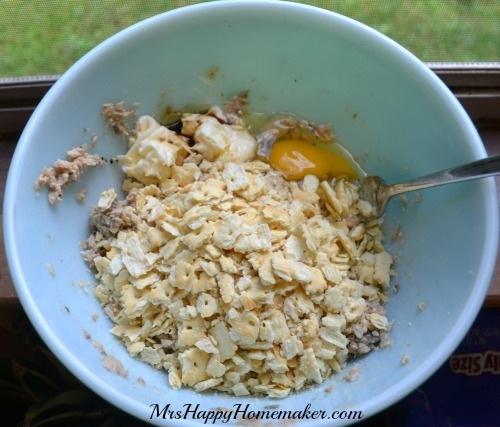 Add in the crushed saltines, mayonnaise, Worcestershire sauce, minced onions (if using) & eggs. Stir til combined. Divide into 6-8 patties. Set aside. Heat enough oil to cover a large skillet’s bottom ¼” deep. 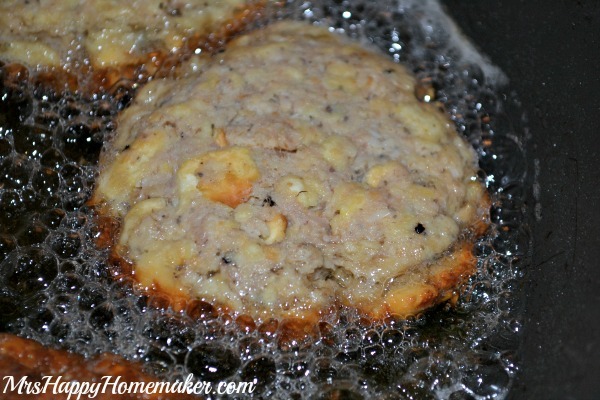 Fry the salmon patties on one side until the edges become brown, then flip & fry the other side until browned. Drain on a paper towel lined plate. Serve by themselves, or with a dipping sauce of your choice. I’ve eaten mine with ketchup ever since I was a girl myself. 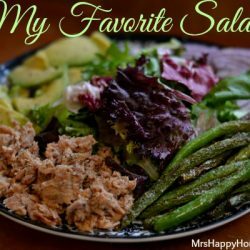 I was compensated for creating this recipe as part of being a Canbassador for Cans Get You Cooking. I genuinely believe that keeping a well stocked cantry helps you get a homecooked meal on the table easily. All opinions & general ramblings are my own. 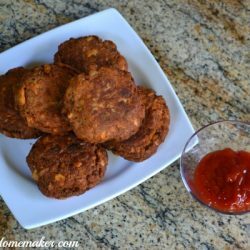 Just talking with some friend tonight about salmon patties, my grandmother did everything you do, except instead of crackers she would put flour in the mix of salmon and then pat them out. They were wonderful. Thanks for your post. 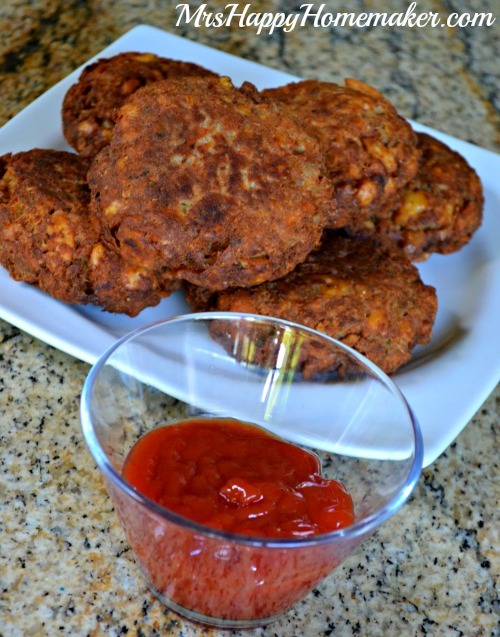 Girl your Maw Maw knew what she was doing with these salmon patties! 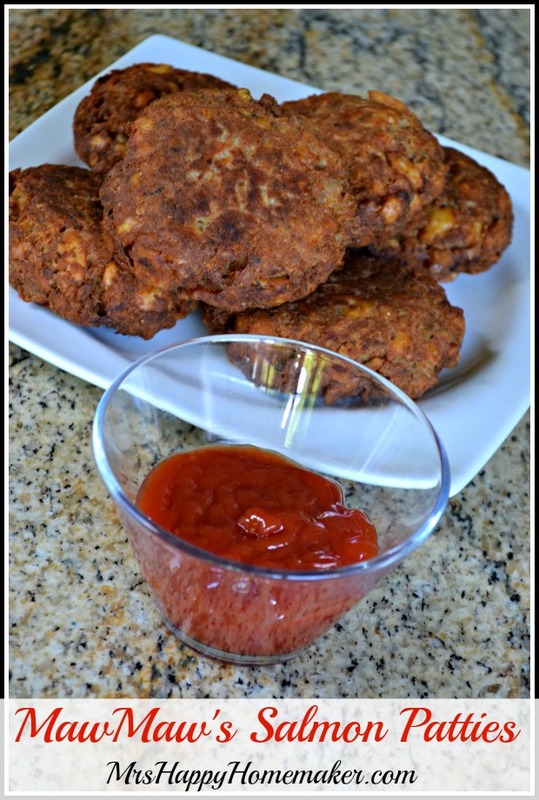 Made these tonight for supper exactly like the recipe and mom and I loved ’em. 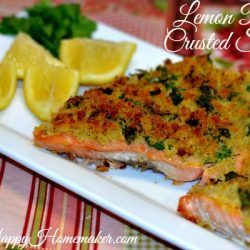 I think adding the lemon juice was a great idea cause it kept the salmon from tasting too fishy. Definitely adding this to my recipe box. Thanks for sharing it. I’m so glad to hear this, and I’m going to pass this along to MawMaw too! She’s always thrilled when she hears that kind of stuff! Made these tonight only thing is i didnt have saltine crackers shoot i was out, welp i had a sleve of ritz and just so every one knows they turned out AMAZING!!! 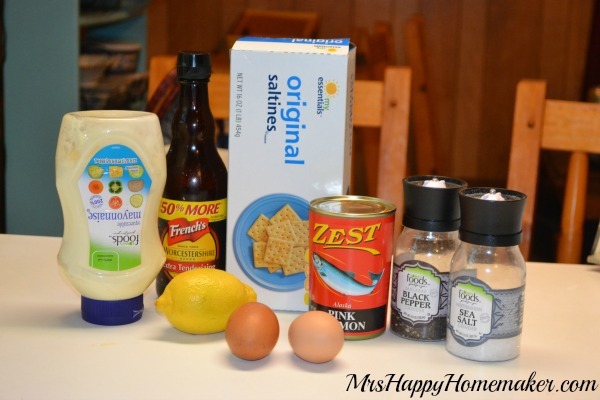 Update … And again I love these it is my go to for salmon patties your Maw maw would be happy I’m sure its being oassed among so many! « Previous PostOrganize Your Purses with Shower Hooks!